Society of Certified Senior Advisors: Can Acupuncture Treat Early Macular Degeneration? The National Eye Institute, a division of the National Institutes of Health, states that there is no treatment available for early age-related macular degeneration (AMD). However, a cohort of professionals actively disagree. They’re generally not eye doctors, but these acupuncturists claim success with methodologies using the ear and area around the eye to reverse the effects of AMD. Macular degeneration affects more than 10 million Americans, and is highly correlated with age, generally affecting those over the age of 50. AMD causes damage to the part of the eye needed for clear central vision. There may not be much vision change to begin with, but as the disease progresses, a blurred central area becomes larger and blind spots may appear. Daily activities such as reading, driving, writing and cooking become difficult or impossible. Some acupuncturists have reported significant improvement with AMD by the use of auricular (ear)therapy. It involves stimulation of tiny spots on the ear, which reportedly trigger a healing response in correlated areas of the body. Experts say that the stimulation affects nerves that trigger increased hormone and blood flow to the eye. The exact spots for microcurrent stimulation and insertion of semi-permanent needles (or small steel studs in some therapies) are located using an instrument that detects electrical resistance. Microcurrent therapy delivers low-intensity (so low it can’t be felt) electrical stimulation. Its use in conventional medicine started in the 1960s. Microcurrent therapy is approved by the Food and Drug Administration for nerve and muscle pain, inflammation and surgical applications. Once the microcurrent treatment is complete, the acupuncturist inserts needles that are the size of a hair in each place at each treatment site. These needles are then taped down to keep them in place for several days, theoretically providing ongoing stimulation. Practitioners assert that the science of auricular therapy is well-documented, with more than 800 papers in peer-reviewed journals around the world. These papers support its use in pain relief and healing. In many cases, auricular therapy was reported as a treatment of last resort after other medical interventions failed to work. Alston C. Lundgren, M.D. practiced family medicine for nearly two decades before devoting himself exclusively to acupuncture. Now retired, Dr. Lundgren is known for developing the Santa Fe Protocol, designed to reverse vision loss from macular degeneration. The Santa Fe Method includes auricular therapy as its central treatment. Age-related macular degeneration (AMD) is usually marked by a slow, painless, gradual loss of vision. Commonly, people with the disease have it for years before getting it diagnosed because it takes that long to produce symptoms. For this reason, it’s a good idea to see a vision specialist from time to time even if you’re not experiencing any problems. But what should you watch for if you think you might have AMD? Early signs include shadowy areas in your central vision, or fuzzy or distorted vision. Test your sight with an Amsler grid that can highlight irregularities typical of AMD, when straight lines appear wavy. If your doctor detects a problem with your central vision, she may order a fluorescein angiography to examine the retinal blood vessels surrounding the macula. Dr. Lundgren reported vision improvement in more than 80 percent of cases among more than 1,500 patients with macular degeneration, presenting his results to the University of Pittsburgh Medical Center Eye Center and the Annual Scientific Symposium of the American Academy of Medical Acupuncture in 2010. Acupuncturists say that their clients are the proof of the protocol’s success. Microcurrent therapy isn’t new or controversial, they assert, until it was used to treat AMD. They cite medical journals (The International Journal, The American Journal of Chinese Medicine and The Indian Journal of Ophthalmology, among others) from China, India, Sweden, Germany and Japan that “do not seem to have the inherent bias towards pharmaceutical treatments, and prejudice against holistic and natural treatments,” according to Donald K. Liebell, D.C., B.C.A.O. A criticism of the procedure is that it is not administered by doctors who specialize in eye treatments. This is true, because most acupuncture specialists are experts in pain management. The vast majority of medical doctors have no experience in acupuncture. And, there are exceptions, such as ophthalmologist Edward Kondrot, author of the book Microcurrent Stimulation: Miracle Eye Cure? Practitioners of auricular therapy cite an outstanding safety record with noninvasive treatment, as opposed to conventional treatment for AMD, which can include injections directly into the eyeball, intravenous injection of drugs with retinal photoactivation, photocoagulation with lasers (which can actually reduce visual acuity) and surgical removal of retinal lesions. Affordability is another factor. Auricular therapy treatments seem to cost about $200 to $250 each, commonly recommended in a series of three to six treatments. Proponents argue that this cost is low compared to conventional protocols that often run in the thousands of dollars. Finally, proponents of auricular therapy for AMD say that since the treatment poses no harm, and because no other effective treatments exist, it doesn’t make sense for patients to wait until long-term research studies are conducted to try the regimen. Many in the medical community assert that acupuncture therapy for AMD only gives false hope to desperate patients. 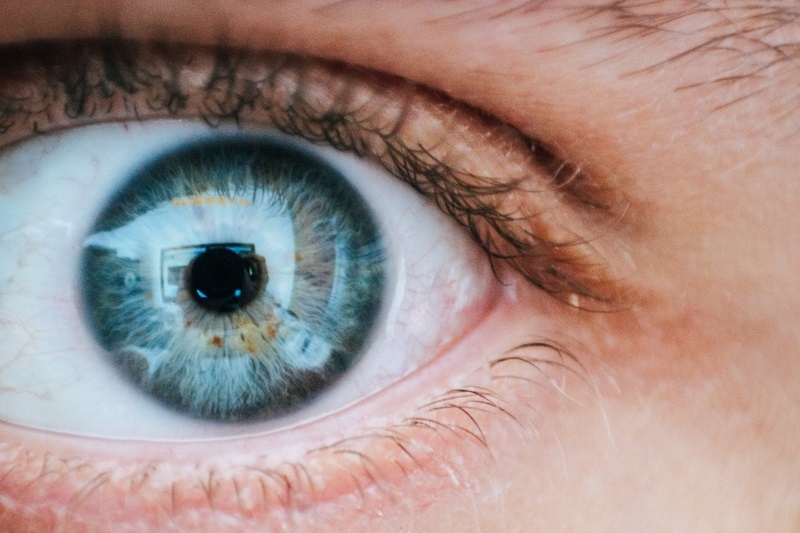 Faced with scary conventional treatments and deteriorating eyesight, it’s no wonder that they grasp at the evidence they’re given that acupuncture will help them regain 20/20 vision. Acupuncturists, too, may want to believe they can help patients and think they’re effective because some patients report progress, and the ones who don’t improve are unlikely to return. Confirmation bias misleads them into thinking the treatment is a success. “Humans regularly misperceive and misinterpret the meaning of their experiences,” says Harriet Hall, M.D. A retired family physician and the first female graduate of the Air Force family residency at Eglin Air Force Base, Hall is also known as The SkepDoc for her writing about pseudoscience and questionable medical practices. Among practitioners of acupuncture, there is no one standard treatment, or series of treatments, agreed to for AMD. Detractors cite Lundgren’s Santa Fe Method as only one example of variations by a single practitioner espousing a (purportedly) single method. At times, Lundgren describes a protocol that includes small steel studs in the ears and needle electrode stimulation in the fat around the eyeball. Later, electrical stimulation of the scalp over the visual cortex was added. However, his website also described a protocol with five treatments. It’s not clear if this was to further define the first protocol, or if the treatment protocol had changed. Lundgren’s 2005 article http://www.traditionalacupuncture.com.au/files/AMD.pdf in Medical Acupuncture reports a 69 percent improvement in vision among 108 consecutive patients. Three different therapies were used, and there was no mention of oversight by an institutional review board. Lundgren states that visual acuity gains “did not seem to deteriorate for a year and a half,” but there is no data provided. There are numerous reasons to reject this study as evidence that the treatment works. Absence of a control group. Patients may seem to improve from fluctuations in the natural course of an illness, from a desire to please the doctor or due to the placebo effect. Selection bias. Patients in the study were not a representative sample of those with AMD, but were clients that had come to Lundgren. It would be reasonable to assume that they therefore had a belief in acupuncture, and since they were paying privately, they had a vested interest in the outcome. There was no blinding. Lundgren himself treated all the patients, and knew if tests were before or after treatment. Encouragement improves performance, so test results may have been skewed. Study design and reporting lacked conformity. The number of dropouts isn’t reported, and Lundgren notes that some patients quit because they weren’t improving. There were so many interventions, given at varying intervals, that it’s impossible to define what worked or didn’t. Inadequate follow-up. Lundgren reports the duration of improvement was “substantial” without any supporting data. Dropouts were not followed. No ophthalmologist participated. Some patients didn’t know if they had wet or dry AMD, and having AMD at all was anecdotal. A retinal specialist could have screened for other conditions, measured vision before and after, etc. Publication in an obscure journal. The only peers who reviewed the work were acupuncturists biased to support work in their own field. It wouldn’t appear the study met standards for a mainstream medical journal. In general, skeptics doubt whether acupuncture could restore vision in a part of the retina where rod and cone cells have died; they compare it to regenerating an amputated limb. Until there is a double- blind study conducted on a single protocol under the auspices of a board, the medical community will remain largely unconvinced. “Acupuncture for Macular Degeneration: Why I Reject the Evidence,” Science-Based Medicine. “Realistic Hope For the Effects of Macular Degeneration,” Donald Liebell, D.C., B.C.A.O. “Facts About Age-Related Macular Degeneration,” The National Eye Institute (NEI).